Accompanied children from 6 to 12 years. Who said you have to draw sitting down? 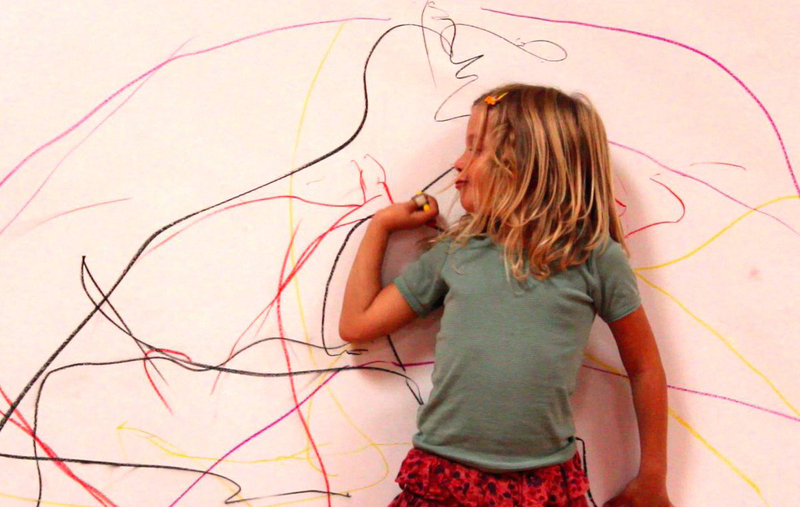 You can draw with your whole body: run, jump, and laugh. You can draw without looking, draw with someone else’s body, even use your voice to draw in the air. Segni mossi workshops are designed to overcome the fear of not knowing how to draw, to understand the body as a communicative tool and to stimulate critical thinking and aesthetic sensitivity.